Hattie Cook’s dream job is down the toilet and her new SUV violated. 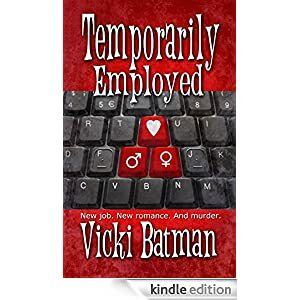 Desperate for cash to cover the basic necessities of rent and food, she takes a temporary job at Buy Rite insurance company where she uncovers an embezzling scam tied to the death of a former employee–the very one she replaced. The last thing she wants is to clash with By-the-Book Detective Wellborn, no matter how much he makes her heart pound. Coming Fall 2014 from The Wild Rose Press and other e-retailers.